No less than 46 species of mammal have lived in the Sonian Forest. We say ‘lived’, because since 1842 seven of these species of mammal have disappeared from the forest. The brown bear disappeared in the year 1000; the wolf in around 1810. The red deer was last seen around 1900. The boar was thought to have been extinct since 1957 but in 2006 new specimens were discovered roaming the wood. The last ones to have exited the stage some ten years ago were the badger, the hare and the hazel dormouse. The deer is without doubt the most photogenic mammal of the SonianForest. But to be able to spot one, you need to get up early. Roe deer are indeed mainly active at dawn. 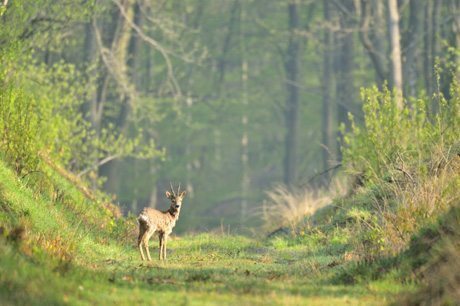 Since the recreational users of the forest visit primarily at dusk, you have the greatest chance to see deer at glorious dawn. Be alert, because they are masters of disguise: they hide among bushes and saplings. Only the males have antlers. Roe deer are very fond of food; depending on the season, they nibble at blackberries, berries, grasses, twigs and shoots of shrubs and trees. In the spring, the deer spread out, after having lived together all winter in a group. The young males retreat to demarcate their own territory and the females cast off their young from the previous year. May and June are critical months for the deer: that is when they have their young. The young fawns are still unsteady on their feet and have a great need for peace and tranquillity. Should you accidentally chance on a fawn while walking, do not get too close and do not touch it. Its mother has certainly not abandoned it: she has merely hidden herself from the intruder and will return to her young once the danger has passed. Among the 39 mammals that live in the Sonian Forest today, fourteen of these are different varieties of bat. That is impressive, because there are only eighteen varieties in the whole of Belgium. This abundance can be explained by the great biological value of the forest and the suitable hunting grounds along its perimeter, especially above and around the pond-river complex of the Woluwe. The same is true of the area surrounding the lagoons of the IJse. The plains, with their shrubs and brushwood, in the open areas of the forest are also important hunting terrains. In addition to that, the bats prize the numerous dead trees in the forest reservations, for example, as places of shelter. Bats need a sufficient number of old or hollow trees with cracks and crevices for their habitat. Researchers recognize the fact that the Sonian Forest is extremely well-equipped in that area. Since it is situated close to a city, the Sonian Forest is more of a landscape forest than a development forest. The trees are allowed to grow older here, which is better for the bats. 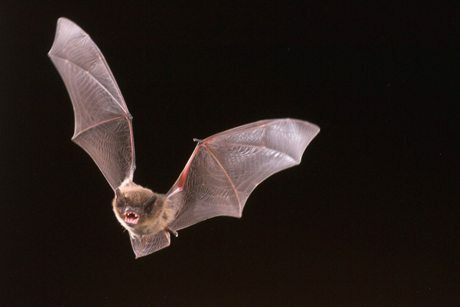 That also explains why such an exceptional number of varieties find their refuge here.Some bats are also endangered and are protected by the European Habitats Directive: the mouse-eared bat, Geoffroy’s bat, the barbastelle bat, the pond bat and Bechstein’s bat. 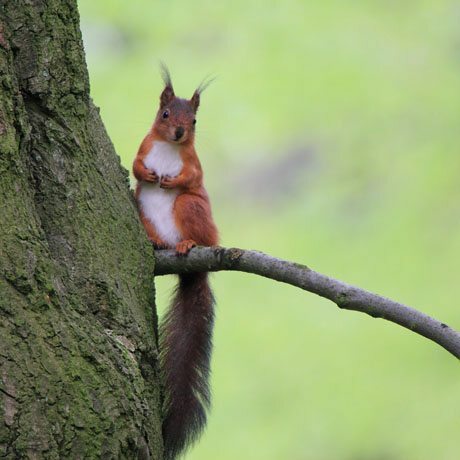 No forest inhabitant is as cute as the red squirrel: with its fluffy tail, its white belly and all; nibbling on beechnuts, in no time at all it wins the hearts of all walkers and cyclists. The red squirrel is also an excellent ambassador for the forest. It can grow to 25 centimetres in length. Its tail, which it uses to keep its balance in trees, can grow to about 20 cm long. It climbs and clambers up trees as if that were child’s play, in search of acorns and chestnuts. The red squirrel lives primarily in vast pine forests and mixed forests, stretching from Europe to the far reaches of China. During the winter, the squirrel mostly stays hidden in its nest. It doesn’t hibernate, but does stay very still. It fills its days during that period only with sleeping, foraging and eating. As a result of the fragmentation of their habitat (amongst other things by road construction), the abundance of monocultures and the lack of dead wood and old trees, the red squirrel has been going downhill dramatically in recent years. Moreover, they need to deal with a number of natural enemies such as martens and birds of prey, and they are often the victims of car accidents. 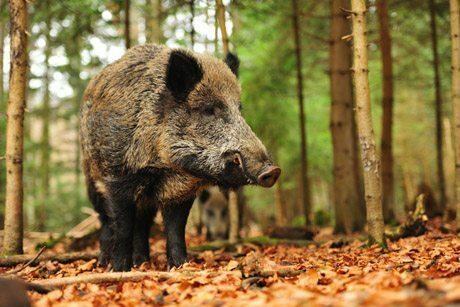 Since 2006, the wild boar has made its return to the Sonian Forest. With its snout, it roots in the soil, greedily searching for acorns, chestnuts, beech nuts, rootstock and earthworms. Its industrious activity mixes the humus in the soil and spreads seeds all around—two positive side effects which promote varied plant growth in the forest. The chance that you will run into a wild boar is small, because they are predominantly active at night. And if you should run into one, it is more than likely to take to its heels. Because these colossi – up to 150 kilograms for males – are shy by nature and live a secluded life. Therefore, you will probably have to be satisfied with seeing the tracks that it leaves behind in your path—wide hoof prints with small projections of its underdeveloped toes on either side.